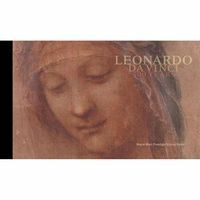 Revel in the artistic talent and creative brainpower of the artist, architect, designer and draughtsman known as Leonardo da Vinci with our range of Leonardo da Vinci collectibles and memorabila. 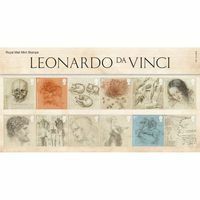 Twelve post cards mark 500 years since the death of Leonardo da Vinci. 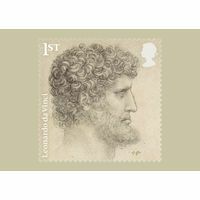 Twelve special stamps mark 500 years since the death of Leonardo da Vinci.